Address by Ricardo Alarcon de Quesada, President of the National Assembly of People’s Power at the conference on Cuba in the Present Era. The occasion for Alarcon’s speech was the celebration on June 23, 2009 in Matanzas Province of the 80th anniversary of the "Hispanic-American Evangelical Congress in Havana in 1919." With time pressing I will come directly to the point. On Thursday June 4 speaking at the Islamic University Al-Azhar in Cairo, President Barack Obama affirmed, "No system of government can or should be imposed by one nation on another one. The United States does not pretend to know what s best for all." What I just cited represents, simply speaking, an elemental obligation of all states.Â Nevertheless that approach is identified as part of efforts by the present U.S. administration to project a renovated and conciliatory image. But that idea presented as policy reform leaves out Cuba. Our country has no place inside that vision that looks to convince the world that the North American attitude toward all nations has changed. It’s as if for Washington Cuba was not another nation, that it lacks independence and comes under North American jurisdiction. Such is the significance of the declaration emanating from the White House on April 13, 2009: "The promotion of democracy and human rights in Cuba is in the national interest of the United States, and is a key component of the foreign policy of this nation." They have all said the same more than once, President Obama, Secretary of State Clinton, and other functionaries of their government. 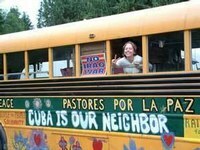 They would have us believe that they indeed know what’s best for the Cubans. They are claiming to impose another system of government because, after all, Cuba is not a nation but is a territory lacking its own sovereignty. That has been, in essence, the politics toward Cuba of all those inhabiting the White House. The idea that Cuba belongs to them or ought to belong to them sprouted up when the 13 colonies of North America separated from Great Britain, before the beginning of our struggle for national independence. It has persisted throughout a history lasting two centuries. To abandon that idea would be a true change, a huge change, although, strictly speaking, it would only signify respect shown for the basic requirement for living together in a civilized fashion. The functionaries mentioned above have reiterated that they will maintain what they insist in calling, with obvious hypocrisy, economic "embargo" against Cuba, despite the fact that the whole world ceaselessly condemns those policies by their true name, "blockade. "Â That’s because the principal difference between the two terms is that the latter implies extraterritorial actions directed against not only Cuba but also the whole international community. In reality what Cuba confronts, and has resisted for a half century, is much more than a blockade. It’s a true war in which they employ all possible means to try to asphyxiate Cuba economically. In doing so, they have caused grave damage to our society. They have weighed down its material development and provoked unspeakable hardships and suffering for all Cubans. It’s no economic war whatsoever. It’s Â I am not exaggerating Â a politics of genocide whose intended purpose is to make people suffer, to provoke hunger and desperation. It corresponds exactly with what the Geneva Conventions define as the crime of genocide, the most prolonged genocide in history. One doesn’t have to wait for a future Nuremberg to know the names of those who conceived the crime and when and where they planned out its execution. In the nineties of the past century, some official North American documents were declassified that in spite of numerous omissions and much blacking out brought to light the genocidal purpose guiding Washington’s anti-Cuban actions. They are revealed in reports and minutes of secret meetings at the highest level. Already in the spring of 1959 when they discussed some of their first stops directed at eliminating our sugar exports to the North American market, the then Secretary of State recognized that the measures "would be causing generalized unemployment and that the majority of the people would remain without work and would begin to experience hunger." When these words were written, 70 percent of our current population had not even been born. They have lived all their life resisting deprivations and material difficulties. Threatened with hunger and extermination, they are victim to a barbarous punishment the empire imposed on their grandparents and their parents for supporting Fidel Castro and the revolutionary regime. Barack Obama was not born then. He had nothing to do with the approval of that policy or with its implementation over many years. But now he is the head of a state practicing genocide against Cuba. When that theme is brought up, he has reiterated that he will maintain the blockade as pliers to force Cuba to adopt the system of government that Washington would impose on us. The commitment to provoke suffering, to divest the Cubans of their sovereignty and oblige them to bow down to a system decided by Washington has also been expressed in U.S. reliance upon other measures. These include the most abominable acts of terrorism. When the atrocious deeds of September 11, 2001 came about and the North American people discovered international terrorism, they found in Cuba the most complete, sincere, and immediate solidarity. The Cubans have suffered from terrorist actions proceeding from the North for half a century. Most of our citizens have lived under the threat of criminal groups operating with total impunity from North American territory. It’s not a question of the past. It’s a matter of present reality. The most immediate, tangible fact at this juncture in Cuba in this summer of 2009 is the infamous decision of the U.S. Supreme Court on June 15th to not accept the petition submitted for reviewing the case of our five countrymen. They are in prison there for fighting against that plague of terrorism. It’s the most recent proof that the terrorism against Cuba still counts for a lot in that country Â and with government support and complicity. The judges acted in accordance with what the Obama administration requested. Without a word, without offering the least explanation, they blatantly disregarded petitions formulated by ten Nobel prize laureates, hundreds of parliamentarians, dozens of jurists’ organizations, and defenders of human rights representing many millions throughout the world. International terrorism received official backing from Washington the past June 15. The criminals themselves recognized it openly. 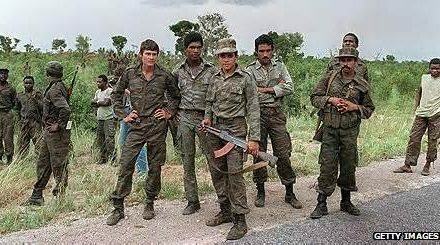 From that day on, they have been seen again, before cameras and microphones in Miami, with total lack of shame, boasting of their misdeeds, announcing new attacks against Cuba and threatening other peoples of Latin America. What do they say about this in Washington? I don’t refer to the Supreme Court that – as is known – makes a virtue of silence. But President Obama speaks in public very day. Will impunity continue under his mandate? It’s in his hands to put an end to the iniquity committed against Gerardo, Ramon, Antonio, Fernando, and Rene. He knows that the Constitution gives the President, and only to him, the power to withdraw the infamous accusation that began a process plagued with arbitrariness and violations from the first day.Â It’s been the only one condemned by an impartial group of United Nations experts. It has stirred up the broadest possible repudiation throughout world – a spurious process that was never justified. He knows also how easy it is to withdraw an accusation. He did it on May 1, 2009, in regard to three persons found guilty of having delivered secret military information to Israel, enough to fill up the shelves of a public library. In the case of our five compatriots, it’s much, much easier. He could rely upon two powerful arguments. Each provides irrefutable proof as to the lying, for which they are victims, and the trial in Miami, which was no more than a gross and sordid farce. Gerardo, Ramon, and Antonio were falsely accused of "conspiracy to commit espionage" and given life sentences. The Appeals Court in Atlanta, in September, 2008, unanimously decided to nullify the brutal sentence against Ramon and Antonio because none of the three had possessed or transmitted information that was secret or had military significance. They had done nothing to prejudice the security of the United States. For more than ten years the empire’s powerful machinery of lies, that botched- up mess they call the mass information media, slandered them as if they were dangerous spies. And painfully, that persists. It took so much time for the Appeals Court to recognize what was known from the first day on. Now we have to struggle before the courts to achieve immediate freedom for Ramon and Antonio who committed no espionage, and freedom for Fernando, whose unjust and exaggerated sentence of 19 years in prison also was annulled by the Appeals Court on other grounds. That same court, nevertheless, despite having recognized that Gerardo Hernandez had never carried out espionage, decided to confirm his life sentence. This extraordinary arbitrariness was one of the reasons behind the petition for review that the Supreme Court refused to consider. The other accusation made up against Gerardo, the infamous allegation of his participation in a supposed murder that did not occur, President Obama could withdraw effortlessly, and must do so. It would be enough for him to remember that behind that idea was his predecessor George W. Bush. In May, 2001, when the judicial farce in Miami was coming to an end, the prosecutor took a step that she herself characterized as something without precedent in North American history. She asked the Court of Appeals in Atlanta to withdraw the accusation then before any evidence was presented, because she could not prove it. That would lead to failure and collapse of the case against the Five. With the request denied, the jury had to pronounce on the initial accusation, one the government itself recognized as impossible to prove and wanted to remove. The members of the jury expressed no doubts, nor asked for clarifications, and with no hesitation in a few minutes declared Gerardo guilty of a crime he did not commit, and for which he was not accused. Such a thing could happen only in Miami with a jury terrified by threats and pressures from terrorists. Only judges who lie could impose that most cruel and irrational sentence. With the decision of June 15, for Gerardo the possibility of finding justice within the judicial system has been completely closed off. We will continue the struggle demanding the immediate liberation of our five compatriots Â of each and every one of them. President Obama can return them to freedom and has a moral obligation to do it and do it now. To persuade him requires the most urgent and broadest possible mobilization everywhere. I am grateful for the invitation to participate in this gathering to commemorate the 80th anniversary of the first Hispanic-American Evangelical (protestant) Congress. We are also about to commemorate the 10th anniversary of the Cuban evangelical celebration. What are involved are undertakings of the greatest importance. The contribution that Christians can make is large, all of them. Nobody is excluded, especially as Sergio Arce MartÃ­nez points out: we are "confronted by temptations that proceed from the opening of Cuba to the wide and distant world of capital, so different and contradictory to our own." Sergio has every Guevarian reason to proclaim that "socialism is a fundamentally ethical project, or it’s not true socialism." Evangelical Theological Seminary of Matanzas, June 23, 2009.